We're having a big sale on all apparel for the next two weeks. Once these collections are gone, they're gone forever! 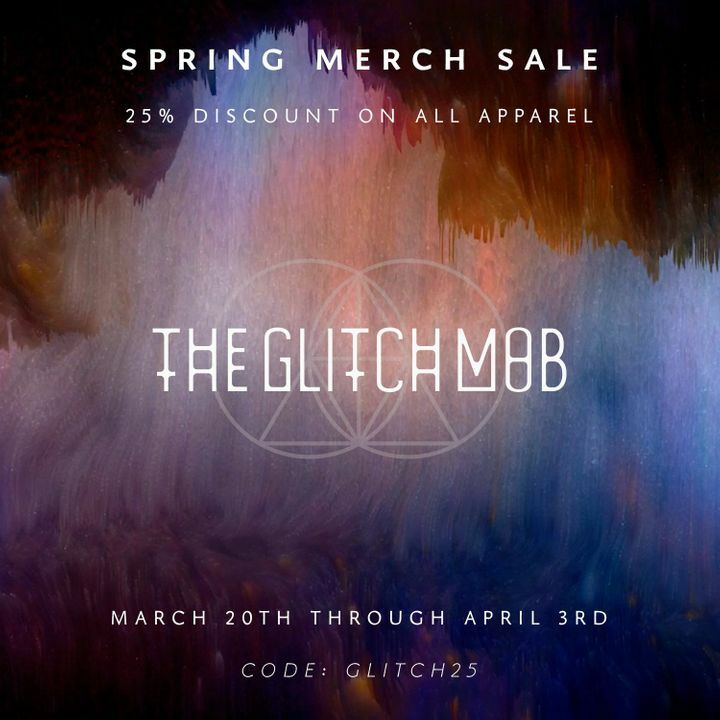 Track to know when The Glitch Mob is playing near you. So epic!!! Love that Glitch Mob played their classics with a spin. Best set I’ve seen in a long time! Amazing show. The crowd was crazy making it even better. But TGM was really fantastic. So happy I got to see them while in Paris! Great event, amazing venue two floors plenty of space, bars were never really crowded, and the glitch mob threw down!!! Elohim was a nice surprise. You can tell that The Glitch Mob loves playing in Denver. Brought it hard!